Educators who want to be teachers in Ohio must take a licensing assessment through the Ohio Assessment Educators (OAE) program. The Ohio Department of Education contracted with a private testing company to administer the assessment to teachers who are either seeking their first license or seeking to add a license in another subject area. 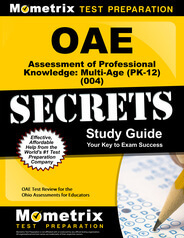 Ohio offers OAE Assessment of Professional Knowledge: Multi-Age (PK-12) (004). 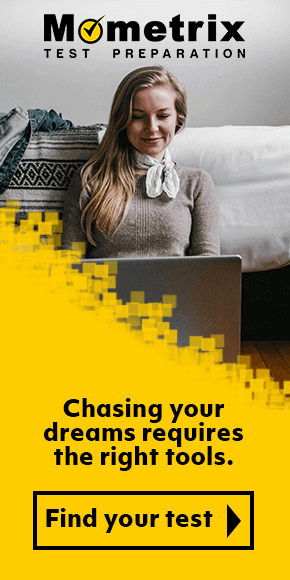 This guide provides details on the some of the most important test questions and offers a study guide that will help you prepare. 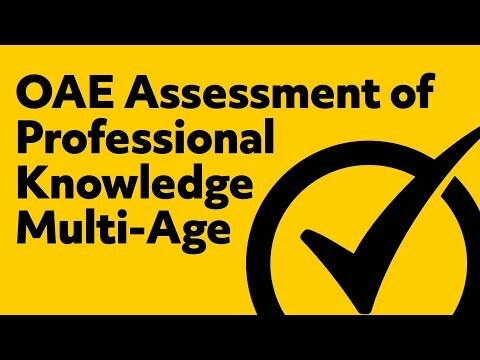 How many questions are on the OAE Assessment of Professional Knowledge: Multi-Age (PK-12) (004)? There are 100 multiple-choice questions, one case study written assignment, and work product written assignment on this computer-based exam. Candidates have three hours to complete the exam. The test is available year-round, by appointment. Once I register for the exam, how long do I have to take it? Candidates have 12 months from the date of registration to take the exam. The passing score is 220. What’s the framework for the OAE Assessment of Professional Knowledge: Multi-Age (PK-12) (004)? The assessment contains three domains, or content, areas. Each test knowledge in several subcategories. Here’s what you can expect. Human development processes examine factors in student development, including culture, home, and community environments; developmental challenges as they relate to self-esteem, decision making, self-direction and the like; factors that influence student development; and how to apply a student’s cognitive development to plan learning experiences. Learning processes examines student learning and performance, and the factors that can influence them. Educators will be tested on their knowledge of theories and concepts as they relate to the learning process; strategies and technologies to influence student learning; and understands home, school and community factors that can impact student learning. Student diversity tests knowledge of different types of diversity (cultural, racial, socioeconomic, etc.). Assessment asks candidates to show an understanding of integrating assessment and instruction; using assessments to inform instruction; assessment result interpretation; and feedback. Curricular and instructional planning asks candidates to demonstrate knowledge of effective planning to create instruction that benefits students; curriculum alignment with content standards; defining learning goals and objectives, and strategies to modify curriculum and instruction based on student needs. How to use principles and practices to promote student achievement tests for an understanding of instructional approaches (class discussion, cooperative learning, etc); organizing and implementing instruction so students can achieve learning goals; and effectively integrating technology in learning. Motivation and communication examine motivation, both intrinsic and extrinsic; enhancing a student’s motivation to learn; issues such as age, gender, and culture that can impact classroom communication; and using questioning techniques to meet instructional goals. Classroom structure and management tests a candidate’s ability to create an inclusive and positive environment; promotes an environment that cultivates excellence; and promotes positive student interaction. Roles and expectations of professional educators look at the student, teacher and parent/guardian rights; traits and behaviors associated with effective teaching; and professional development opportunities, including research and professional interactions. 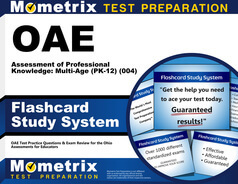 The Ohio Assessments for Educators uses a private test company to administer the test. There are centers in Ohio and across and country. When will my test score be available? Test scores are available, roughly, from two to six weeks after you take the test. No. Candidates can’t bring mobile phones, electronic devices, wallets, purses, hats, and head coverings into the testing room. Yes. Bring two forms of identification. One must include a signature and photograph. The other must include a signature. What’s the best test preparation material I can buy? Mometrix has a terrific study guide created by test-taking professionals. It will walk candidates through the most difficult parts of the OAE Assessment of Professional Knowledge: Multi-Age (PK-12) (004) and show them how to best tackle the questions. Candidates can carry our flashcards anywhere, studying whenever they have just a few minutes. These are two outstanding resources. Mometrix Academy is a completely free OAE test resource provided by Mometrix Test Preparation. 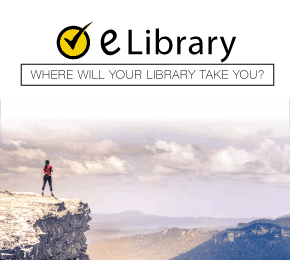 If you find benefit from our efforts here, check out our premium quality OAE Assessment of Professional Knowledge: Multi-Age Study Guide and OAE Assessment of Professional Knowledge: Multi-Age Flash Cards to take your studying to the next level. Just click the OAE study guide link below. Your purchase also helps us make even more great, free test content for test-takers.